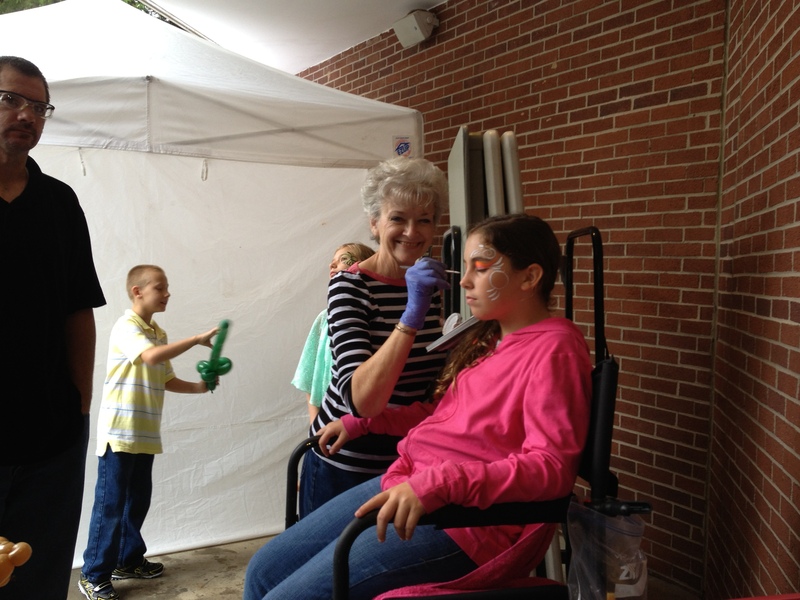 Vicky Galloway, Beekeeper Extraordinaire, paints faces at the FUN Agri-Civic Celebration. Check out her painted bee hives. They contain the happiest bees around. 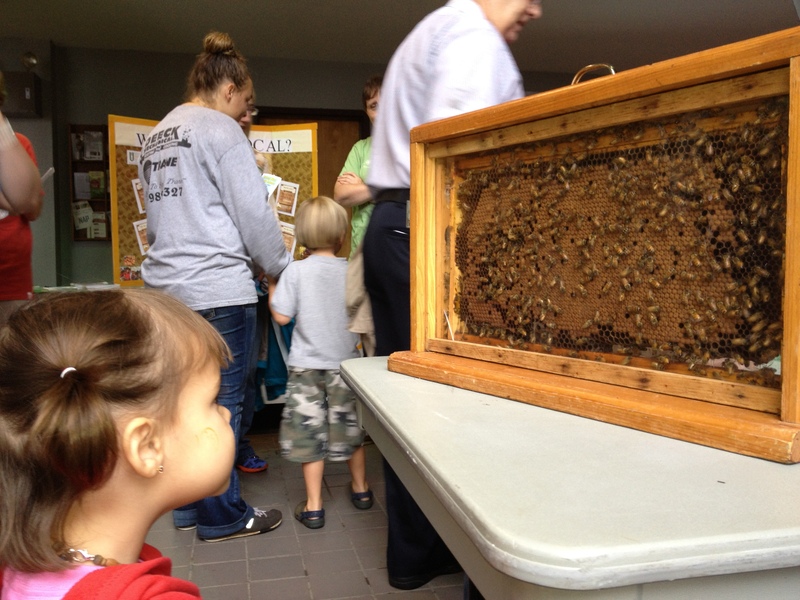 National Honey Bee Day celebrated at the Stanly County Fun Ag Day at the Agri-Civic Center August 17th. Children of all ages enjoyed looking for the queen. Luckily the queen had a red dot on her head so it was easier to spot her. 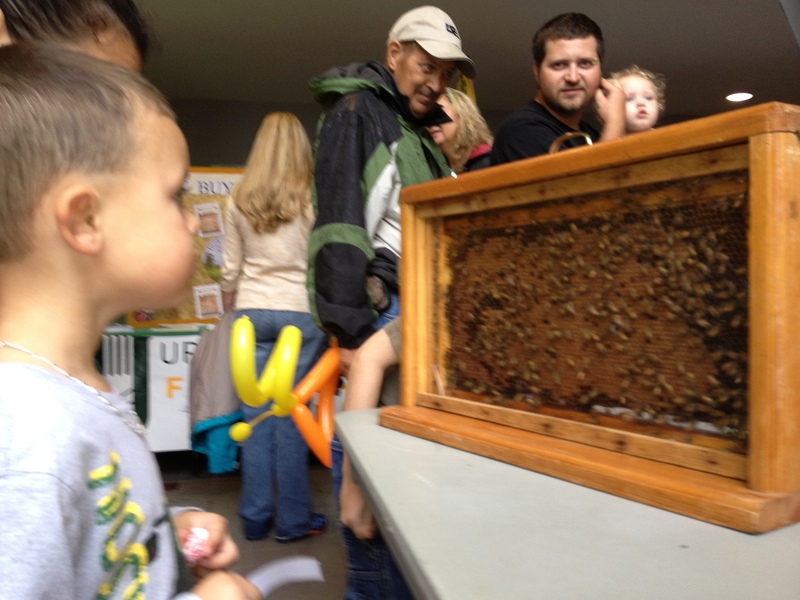 Come visit the Stanly County Beekeepers Association (SCBA) exhibition hive to see how honey bees work. The SCBA will have beekeepers on hand from 9:00 am to 3:00 pm. Here is a link for more information about the Agri-Civic FUN Day. Even if you’re not a beekeeper you could help honey bees by planting a pollinator garden. Below is a link to a site for a list of things you could do. North Carolina Plants in the Piedmont that have pollen for bees. For even MORE things you could do to help honey bees, National Honey Bee Day — Help Honey Bees. Check out the National Honey Bee site. A few weeks ago Nancy Rupert, Apiary Inspector NCDA & CS sent me this calendar in Word format. It took me a while to figure out how to get it up on our blog. So, at long last, here it is. Enjoy! This calendar was designed for general beekeeping use in most of central North Carolina. Recommendations are based on average climate/weather conditions, and may vary with significant temperature changes. Those who manage hives for commercial operations may have different needs than those listed below. Details regarding bloom types/dates and pest/disease management are not included here due to space limitations; consult reliable and current resources for this information. This calendar is subject to being updated as new information becomes available. Remember: Bees follow a different calendar than humans do! Select the link above to open the calendar in Word format.